With an early start into the digital technologies, Kodak was able to create industry leading technologies and digital cameras ahead of its competition. It took another ten years before the digital cameras became the largest segment of the camera market. Total sales of digital cameras surpassed those of analog cameras for the first time in 2002. In hindsight, Kodak had had over twenty years to respond to an existential threat. Given the extraordinary time Kodak had, and the massive and decisive action it took, we would expect Kodak to have easily handled this major technological change in its industry. Unfortunately, the reality was something else. By 2003, Kodak was only one of five large players in the digital camera arena and was losing money. Its market share in digital cameras was less than 25 percent, and within the next few years it continuously lost market share and profits. On January 19, 2012 Kodak filed for chapter 11 bankruptcy protection, marking the end of a 131-year history as one of America’s leading companies. 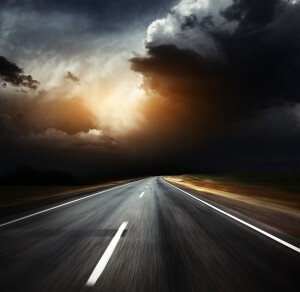 This failure was not due to a difficulty in technological transition, or to getting blindsided by a disruptive innovation, or to the speed of the change. Rather, a kind of gridlock gripped Kodak. During the early 1990s, when Kodak was preparing to market its main group of digital products, Kodak’s managers became paralyzed because they realized that the very innovations the company had spent so much money to develop would actually destroy value for themselves in years to come. Digital cameras threatened to decrease profitability by eliminating the film and photofinishing services on the one hand, and by increasing competition from consumer electronics firms on the other. As a senior vice president and director at Kodak said, "We’re moving into an information based company, but it’s very hard to find anything [with profit margins] like color photography that is legal". Resistance within the firm made Kodak slow in the marketplace. It didn’t demonstrate the same aggressive quality in commercializing the digital technology that it demonstrated in mastering the technology. Slow commercialization in a fast moving technology can be a death knell to a business. During one of my interviews with an ex-Kodak manager, I also discovered that it was not just passive resistance of the company that ensured that Kodak had a slow and ineffective commercialization. "When customers used to come to buy a digital camera at retailers, our people themselves pushed them away from digital technologies towards analog technologies," he told me. The trouble at Kodak was not just the difficulties in effective commercialization, but also the mindset within the organization. The dominant logic within Kodak was that the only way to make money is through sale of consumables. As a result, many managers at the company wanted to sell as much film as possible, and that subverted their decisions in commercializing the digital technologies. "When Microsoft asked us to allow them to use our software in Windows, we asked them to provide some way of getting revenue from each picture the user takes", said a then-Kodak manager. Since Microsoft didn’t see how it would work, the deal never went through. Embracing the digital technology meant choosing the sword because it was a sure-shot way to cutting the company’s own profits. Choosing deliberately not to embrace the digital technology was akin to choosing the gun to play Russian roulette; there was a chance that digital cameras may never take off, but then there was a chance that if they did take off, Kodak would not survive. Initially, the firm chose to delay making the choice and many parts of the organization wanted to choose the gun. This hesitation, this delay, is what caused Kodak to fall from its industry dominant position to chapter 11 bankruptcy. If you think there was something wrong within the DNA of Kodak or with its management team that led to this gruesome fate, consider Polaroid’s actions. Polaroid, the name synonymous with instant photography, controlled 100 percent of the instant photography market and around 10 percent of the total American camera market. It had always been a technology company and its success was due to this technological sophistication. When Kodak tried to enter Polaroid’s market, Polaroid was successful in driving out Kodak through legal action as Polaroid controlled almost all the patents in the instant photography space. At the time when Kodak was mastering digital technologies, Polaroid was also exploring the digital horizon. In fact, Polaroid had developed one of the best digital cameras. But as it approached the commercialization stage, Polaroid also faced an internal pressure that prevented it from commercializing outstanding products. Upon realizing that digital photography would destroy profits, a senior manager at Polaroid asked, "Why should we accept a 38 percent margin? I can get 70 percent in film". Polaroid filed for chapter 11 bankruptcy protection in 2001. When faced with the dark side of innovation, Kodak and Polaroid behaved alike. When people with differing personalities behave alike in some situations, social psychologists use this evidence to show that the context is more powerful in determining behavior than personality is. The reaction of the two leading photographic companies to digital technology points to the power of the context here -- the power of the dark side of innovation. 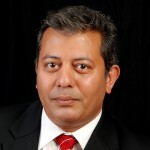 Dr. Ankush Chopra is an innovation expert with nearly two decades of experience in leading and enabling transformations across the globe, including projects within Citibank and Proctor and Gamble. He is a Professor of Innovation at Fribourg School of Management, Switzerland and former Assistant Professor of Management at Babson College. His research focuses on issues such as overcoming challenges of innovation and transforming business and organizations. Dr. Chopra has a Ph.D. in Strategy from Duke University and an MBA from Indian Institute of Management, Bangalore and received his under graduate degree in Commerce from Delhi University. Dr. Chopra speaks four different languages, has lived in Asia, India, Europe and America. He can be reached at AnkushChopra.com. 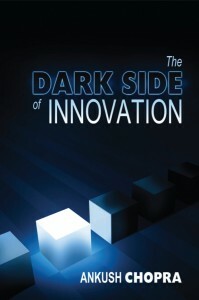 His new book, The Dark Side of Innovation, is available for purchase at Amazon.com as well other fine booksellers.